JIG are delighted to announce the appointment of a new Technical Manager, Antonis Christodoulakis, effective 1st November. Antonis will join the JIG team at a time when the JIG membership is continuing to grow and a number of initiatives are being developed. “Antonis has a wealth of experience in the Aviation fuelling industry and understands the complexities of many of the issues we face. His knowledge stems from both an oil company perspective and from working alongside our membership. We know that he will bring technical excellence to the wider JIG membership” said John Buxton, Chair of JIG. After completing his PhD in Chemical Engineering from the University of Patras in Greece, Antonis spent 2 years in production and quality control of chemicals in Greece before he started working in the oil industry, mainly for ExxonMobil. In 2008, he was appointed an in-country role for coordinating operations and HSSE for ExxonMobil’s network of airports in Greece, and the role of facilitator in a project for optimizing operating efficiencies across Europe, Africa and Middle East airports. In 2012, he became a consulting member of the Global Operations Support group of ExxonMobil Aviation and an accredited JIG inspector. Since then, he has been leading projects for the development and roll out of JIG-compliant operating standards and procedures, conducting airport and terminal inspections and offering technical training and support. He has participated in technical and HSSE service projects with CloudsNet, offering training and support to locations associated with storage, handling, distribution and into-plane delivery of aviation fuels world-wide. 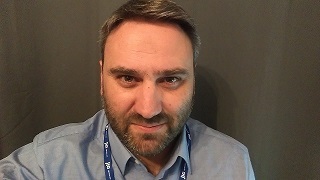 In JIG, he has taken part in Members’ Technical Forums, JIG Inspectors’ Workshops and, as an ExxonMobil representative, in the Standards Working Group.